Twice the hands, twice the confusion, twice the rake! 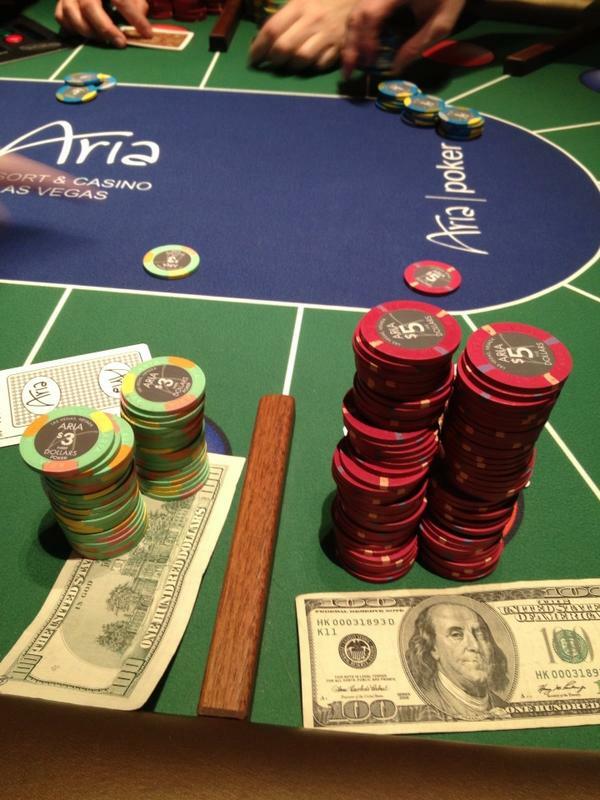 Multi Action Poker debuts this week in Las Vegas. The game is played on a green and blue felt, with white lines marking off the locations for the seats, the wooden dividers, the colored spots, two chip trays, two shuffle machines, and two rake boxes with different table numbers. 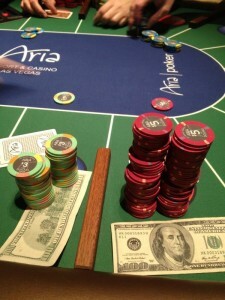 In the days leading up to the debut, players and dealers around the room speculated about the new game. “There are probably few places that could pull it off, but I think we can,” one dealer told me. In order to avoid confusion, or combining hands, the cards will be distinguishable on the front and back, Frazin said. If a player takes a long time to make a decision on one hand, stopping the action, the other hand continues and the rest of the table is not left waiting on that one player. Even the player who tanks on a tough decision will receive a new hand, but Frazin doesn’t expect that to slow down the play. 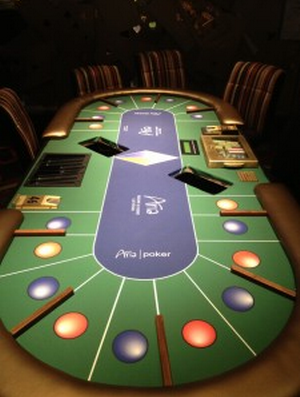 Any variant of the game can be played at the table. “It’s limitless depending on the skill of the player,” according to the game’s website mappoker.com. Which means, in live poker, it might be quite limited. Frazin said he first thought of the idea for the game in 2007, but temporarily shelved it. He has played a little bit online, but he’s mostly a live player. “I like action,” he said. Frazin, a Dallas native, has been around the poker world for years. He made televised appearances as the pizza parlor-owning, Magic 8 Ball questioning World Poker Tour player a few years ago. He didn’t shake the 8 Ball after asking it about Multi Action Poker, but he believes the new game will attract the action junkies and online grinders who might start to nod off at a typical hold’em table. “More action and less boredom,” Frazin says.